With summer approaching, I fancied sporting something yellow. 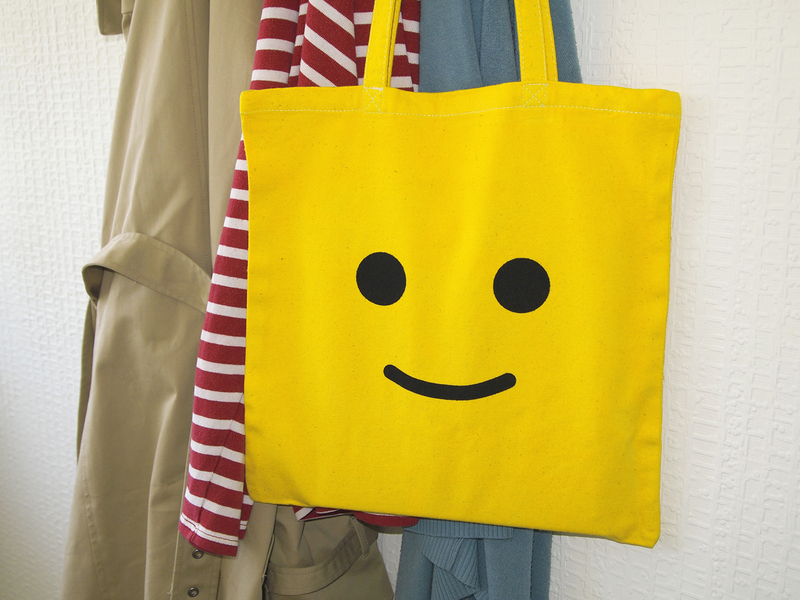 I decided to relive the glory days of Lego, before it was all ‘specific parts’ this and ‘painted on expressions’ that, with a minimalist canvas tote bag. As well as selling a number of these wholesale and via Etsy, it was also featured in Vogue Bambini (not that I’ve seen any stylish Italian children wearing one).